You can use your own houseplants — and drop the red and green — to make festive holiday decorations. Q: I have several very big plants in my home, and one tree in particular I am planning to use as my Christmas tree. I’m not a big fan of standard Christmas decorations in red and green, but I’ve seen nice white decorations. How can I dress up that look for the holidays? A: A green-and-white theme for the holidays is a modern, beautiful and crowd-pleasing way to acknowledge the season. And using the indoor plants you already have is a very inexpensive, eco-friendly, and quick way to decorate your home! You don’t need a traditional Christmas tree at all. Even if you do nothing more to your own plant than add a string of lights and some star-shaped ornaments, it’s fun making a few changes for the holidays. If that plant or tree you’re considering is shorter than you’d like, make or buy a special pedestal for it. Ideas include stacked sturdy boxes, a plant stand, or even a chair or stool. Paint your pedestal or stool white or leave it natural. Or cover it with satiny white or metallic silver fabric, or use something more textural like a thick knit or faux fur throw blanket. You could also cluster three different sizes of the same type of plant for a grove of nontraditional Christmas trees. If you want something a touch more traditional, gather some natural tree boughs for wreaths, centerpieces, or mantel decor to bring in the scent of a traditional Christmas tree. 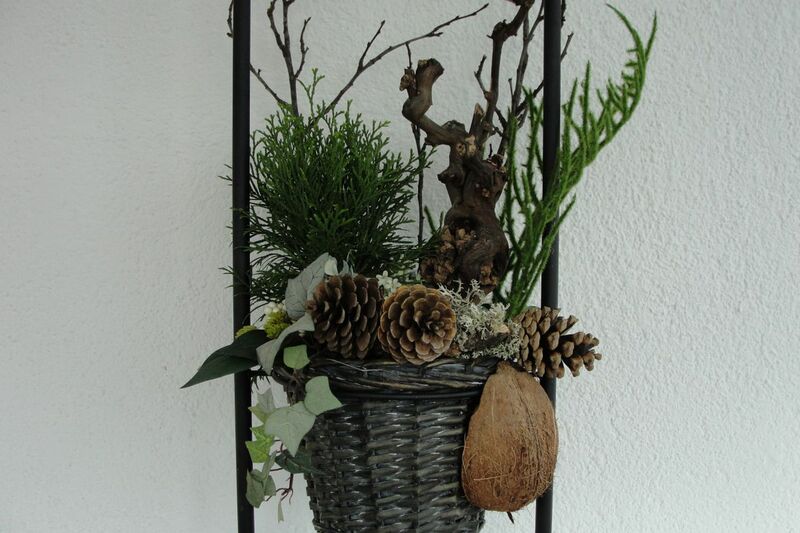 Or, go with just bare twigs and branches sprayed or brushed lightly with metallic paint for a rustic look. Fill large clear glass bowls or vases with a selection of round white, silver, and clear ornaments or ribbon. Mix shiny finishes with soft matte or pearlescent finishes, and vary the sizes of similar-shaped objects. Clear, and cut-glass ornaments, glassware for the table, and touches of shiny metallic silver and gray work just as well. Expand on the winter theme with ornaments having something to do with snow and ice, or are star-shaped. You don’t even need snowflakes and fake icicles; just add some sparkle with glittery objects, little mirrors, and tiny clear or white LED lights. Battery-operated light strings let you add sparkle almost anywhere. And, of course, shop the sales after the holidays to grow your collection for next year. Have a design dilemma? Jennifer Adams is an award-winning designer, TV personality, and author of the upcoming book “Love Coming Home: Transform Your Environment. Transform Your Life.” Send your questions to AskJennifer@JenniferAdams.com or for more design ideas, visit Jennifer’s blog on her website at www.jenniferadams.com.